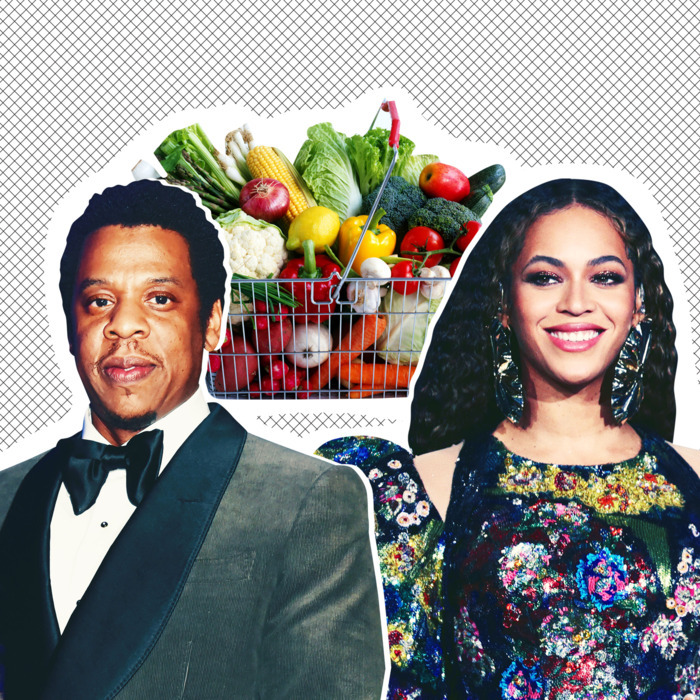 Would You Go Vegan for Beyoncé? Photo: Getty Images, Shutterstock Late last night, singer, songwriter, actor, elevator-fight referee, mother, sister, wife, cousin, and aunt, Beyoncé Knowles propositioned fans with an intriguing Instagram offer. In a green and black text-based post, Beyoncé mysteriously told her 123 million followers, that her “greenprint” is “plant based for breakfast” and “meatless Mondays,” but the caption is where things really got intriguing. Click the link in my bio for a chance to win tickets to any JAY and/or my shows for life. View this post on Instagram What is your Greenprint? Click the link in my bio for a chance to win tickets to any JAY and/or my shows for life. #greenprintproject A post shared by Beyoncé (@beyonce) on Jan 30, 2019 at 7:51pm PST Sponsored by 22-Days Nutrition, a line of plant-based protein bars and powders started by Beyoncé’s trainer Marco Borges (with whom Bey and Jay also created the meal-planing system) the Greenprint initiative is encouraging people to be plant-forward for the environment (and concert tickets). Ok kween I’ll eat all the grass u want, just give me the tickets. Cause Chick fil A, Popeyes and Wendy’s 4 for 4 😫 But not even Beyoncé can get some people to change their diets. I love Bey, but I need my monster slim jims 😂 @beyonce I love you, but love meat too 😭😂😂😂 I need my Kobe beef 😂🍖 Finally, there were some who, paying attention to the fine print (which stipulates that this offer is good for up to 30 years) just wanted to thank Beyoncé for essentially promising to perform for at least another 30 years. the terms said up to 30 years. Late last night, singer, songwriter, actor, elevator-fight referee, mother, sister, wife, cousin, and aunt, Beyoncé Knowles propositioned fans with an intriguing Instagram offer. In a green and black text-based post, Beyoncé mysteriously told her 123 million followers, that her “greenprint” is “plant based for breakfast” and “meatless Mondays,” but the caption is where things really got intriguing. It said that followers could win free tickets to her shows, as well as her husband Jay-Z’s shows for life if they click the link in her bio. “What is your Greenprint? Click the link in my bio for a chance to win tickets to any JAY and/or my shows for life. #greenprintproject,” it reads.